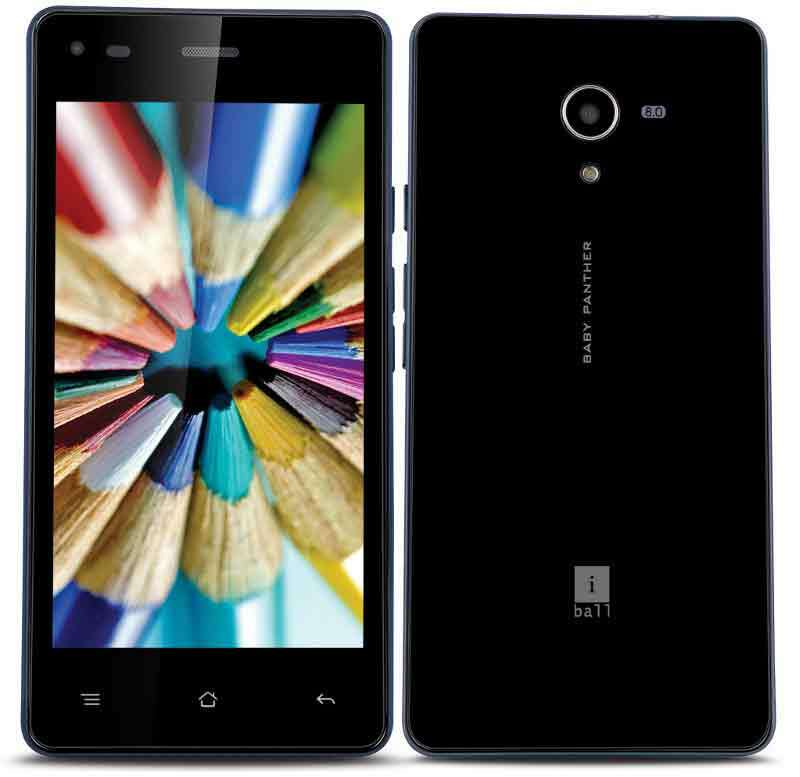 iBall has launched there latest smartphone the Andi 4.5V BaBy Panther. The iBall Andi 4.5V Baby Panther comes with 2.5-inch qHD display and is powered by 1.4GHz Octa core processor coupled with 1GB of RAM. It would compete with recently launched Xolo Omega 5.0 and omega 5.5. It is a Dual SIM phone wih 3G connectivity. It runs on Android 4.4 OS and is upgradeable to Android 5.0 Lollipop as stated by the company. It features 8-megapixel main shooter with LED flash. The Andi 4.5-V is accomplished with 1Gigs of RAM and 8Gigs of internal storage. To make the device alive there is 1700mAh battery, which is main disappointment in the phone. It offers 3G, Bluetooth, GPS, WiFi and micro USB connectivity options. The iBall Andi 4.5V is available in Black and white colors and is priced at RS 7,599.